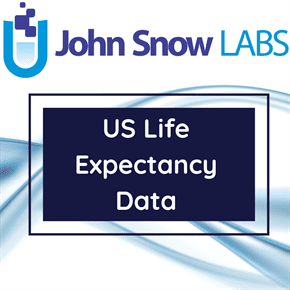 This dataset provides estimates for life expectancy at birth at the county level for each state, the District of Columbia, and the United States as a whole for 1980-2014, as well as the changes in life expectancy and mortality risk for each location during this period. This study was conducted to answer the inequalities in life expectancy among counties in the United States growing or diminishing, and what factors can explain differences in life expectancy among counties. Research by IHME used small area estimation methods to produce annual life tables and calculate age-specific mortality risk at the county level for the United States. De-identified death records from the National Center for Health Statistics (NCHS) and population counts from the census bureau, NCHS, and the Human Mortality Database were used in the analysis. In this population-based analysis, inequalities in life expectancy among counties are large and growing, and much of the variation in life expectancy can be explained by differences in socioeconomic and race/ethnicity factors, behavioral and metabolic risk factors, and health care factors. Policy action targeting socioeconomic factors and behavioral and metabolic risk factors may help reverse the trend of increasing disparities in life expectancy in the United States. Institute for Health Metrics and Evaluation (IHME). United States Life Expectancy and Age-specific Mortality Risk by County 1980-2014. Seattle, United States Institute for Health Metrics and Evaluation (IHME), 2017.